A neo-Nazi group is actively mobilizing in Sweden, an anti-racism watchdog report says. The group recently drew hundreds to a mass demonstration in Stockholm, hailing the results of the US election as the beginning of a world revolution. A new study conducted by anti-racism group Expo revealed that 32 percent of activists in the Nordic Resistance Movement (NMR) had no previously known links to neo-Nazi activity. “That means that this environment has taken in new individuals. A third of those who were active in 2015 are new recruits,” Expo representative Jonathan Leman told Swedish radio. 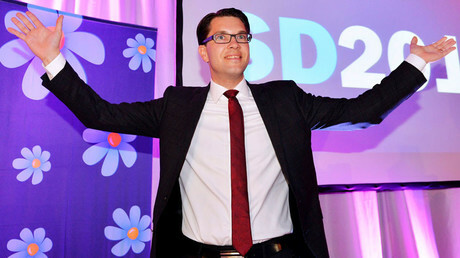 The NMR has long been operating as the most radical and closed white supremacist organization in Sweden. But in recent years, its strategy has changed abruptly, according to Expo. While the radical inclination and fanaticism remain the same, the group’s leadership has been trying reach out to a wider audience, recruit more activists, and influence their ideas by showing more support for members. They are planning to complement street activism by setting up a political party to represent the movement in the government. Jonathan Leman said he believes this development can partly explains the group’s growing ranks. Expo also warned that the group consists mainly of criminals and violent individuals. That became apparent when the watchdog studied the background of the 159 most active members of the group. It says that 26 percent of them were charged with violence or weapon offenses last year, while more than half (56 percent) have been convicted of some form of criminal offense at some point in their lives. In 25 percent of these cases, the persons were sentenced to jail, which, according to Expo, proves they have serious crimes on their record. As the study cannot reveal the exact number of people active in the NMR, Leman said that further review is needed. 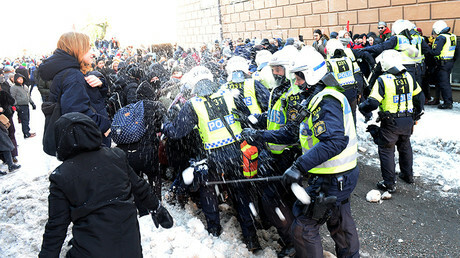 The group was recently responsible for a mass rally in Stockholm – the group’s largest demonstration yet. An estimated 600 far-right activists marched through central Stockholm in November to celebrate Donald Trump’s election as US president. According to Expo reporter Per Öberg, the neo-Nazi group’s press chief told the gathered crowd that Donald Trump’s election win was a sign that a world revolution was beginning. The demonstration resulted in a number of arrests, but no major clashes were reported – possibly due to the heavy police presence, which managed to keep the NMR and counter demonstrators under control. 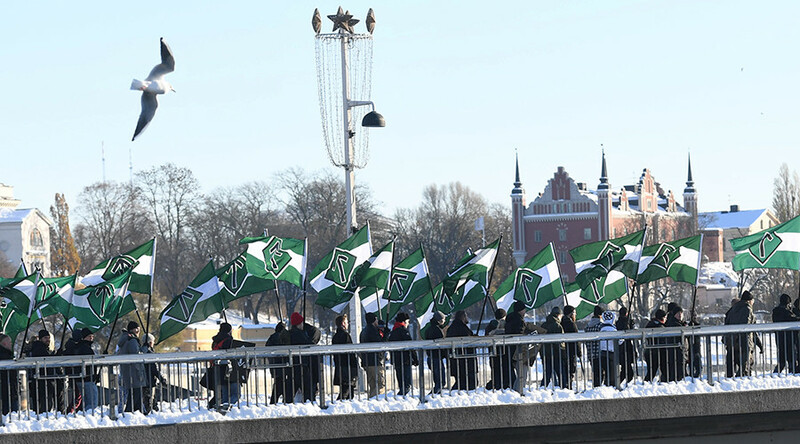 The Nordic Resistance Movement, which was set up in 1997 and promotes an openly racist and anti-Semitic doctrine, is a neo-Nazi organization whose goal is to establish a national revolution and totalitarian rule. It is one of the most active groups in the modern far right environment. It grew out of the National Youth group which was formed in the mid-1990s and phased out in 2006, when the activists were asked to seek membership in the Swedish Resistance Movement instead. In 2015, nearly 200,000 refugees and migrants entered Sweden, whose laws regarding refugees are among the most liberal in Europe. That number is higher per capita than that of any other nation in Europe. The inflow of asylum-seekers has placed an increasing strain on the country’s police. There are now reportedly 55 “no-go” areas in Sweden. If police officers go into one of these areas, they risk being verbally attacked or pelted with stones. Patrol cars may be set on fire or stolen. Crime rates in these blacklisted areas have also been on the rise, with offenses ranging from vandalism and drug crimes to sexual assault and gun violence.